Keeping up with this tradition, FX market participants are evaluating their business relationships and analyzing the return and quality of the services provided to them. Despite the common saying, “better to work with the devil you know”, the year of 2016 has proved that, with proper research, millions of dollars could be saved, not mentioning your reputation. Performance (average executable spread, slippage, rejection ratio) is directly correlates to your commission/spread expenses. The easiest way to check the performance of your LP is to run daily or weekly execution reports for different currency pairs. While the majority of volume is going through in EURUSD and GBPUSD, it’s also worth checking the likes of spot Gold, Platinum, and some of the active crosses as well. Often, LPs mislead clients by providing streaming rates that are very attractive but which are not executable. Such rates might be good to show on your website, but they will be of no use to your dealing team or for STP execution. Please remember that you can overpay a lot in slippage and rejections without realizing it. Warning Signs: Any commission offered below market average should alert you as it could indicate 1) desperation for new clients 2) the liquidity provider will try to make money via other channels (performance). ...or Sub-Par Performance during times of high market volatility or through unexpected market moves. The October “Flash Crash” in the British Pound is a good example. Were you still able to access pricing from your Liquidity Provider during this dramatic move or were you disconnected for minutes? It’s very common for events such as this to end in disaster for many businesses. If your Liquidity Provider is a "serial offender", and doesn’t learn from their mistakes and make changes to improve their offering, then it may be worth questioning a relationship that has the potential to cause you reputational and financial damage. In today’s world of social media news spreads instantaneously like wildfire. This is especially true for the financial markets. Forex Industry websites are quick to pick up the first signs of trouble for your existing (or future) partners. Annual reports, mergers, investments, press releases, and changes on the executive level are good indicators of company health. 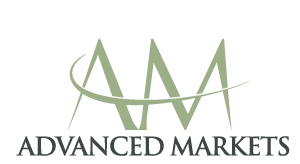 It is therefore worth paying continual attention to relevant industry news. If you get two or three warning signs indicating problems with your LP then it might be time to search for an alternative partner or a backup solution. TIP: A Custodial account (where funds are held in your company’s name) is one alternative solution to protect your company funds and should be considered if you have an FX License. If your LP is using 3rd party technology (which is very common these days), then how reliable is that provider? Many technologies created for retail FX and will not work for a sophisticated institutional FX business. The best example here is aggregation technology. Many bridge providers may do an OK job of aggregating on margin but will be found lacking when things are moving to “credit-based” aggregation. Sometimes the logjam caused by a backup of order messages will have a direct impact on the overall performance of a Liquidity provider itself. My advice is to do research on the technology provider and platforms used to facilitate trading. Also, if you are not offered full market depth and not educated on the frequency of the received quotes, you may be using outdated technology. You must also be able to settle open exposure via a reliable, tradable interface, independent of MT4 or MT5 Platforms. 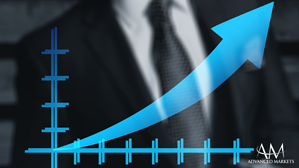 The professionalism and quality of your LPs client support operation is something that can be assessed from your first day of actual live trading. Urgent issues should get an instant reply and withdrawal and sales requests should be processed within a proper timeframe. My opinion is that the more experienced staff a company has, the more chance you will have of enjoying your partnership. I could just keep going with the list but I’ll leave it here for now. From my experience, just asking the right questions can lead to a much better deal and a much better business experience. 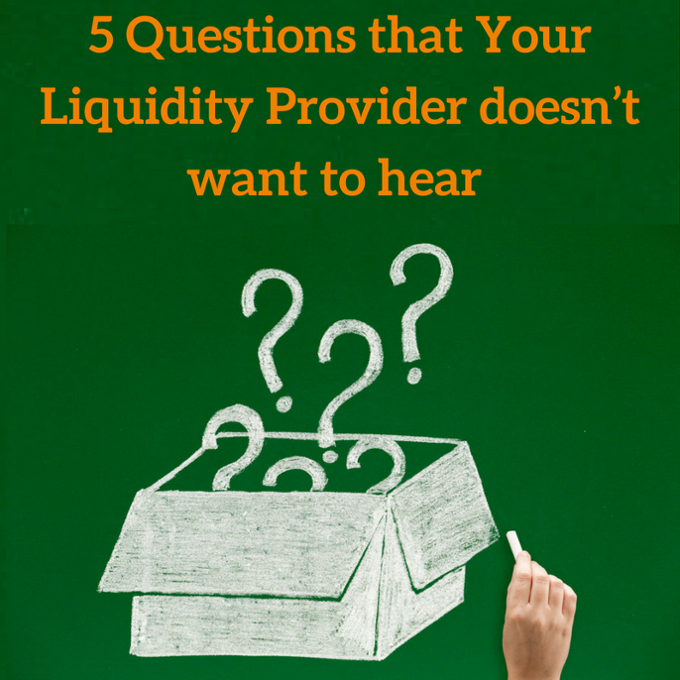 To challenge your current Liquidity Provider, download a list of 5 Questions that Your Liquidity Provider doesn’t want to hear below.